How Far Do 10 Million Kronor Go? When Austrian Elfriede Jelinek won the Nobel Prize in Literature in 2004, a television reporter asked what the prize meant to her. Jelinek paused, apparently amused at the foolishness of the question, then replied: financial independence, of course. The typical Nobel Prize winner is no slouch  he or she has probably already got a good job at a prestigious university  but while winners make an honest dollar, wealthy they are not. Most laureates spend their prize money (about $1.4 million) in mundane ways: to pay the mortgage, buy a car or save for rainier days. 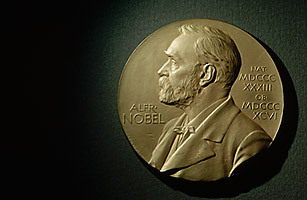 MIT's Wolfgang Ketterle, one of three scientists to win the 2001 Nobel Prize in Physics 2001, said, "I used the Nobel money to buy a house and for the education of my children." Others, meanwhile, such as the late Franco Modigliani, an MIT professor who won the Nobel Memorial Prize in Economics in 1985, buy a sailboat.